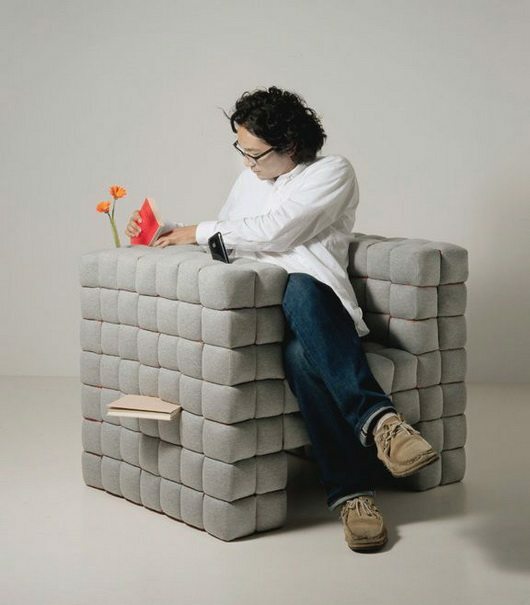 This wonderful armchair, in all its logical Japanese simplicity and multi-functionality, has been designed by architect Daisuke Motogi to put an end to the living room days of looking for things lost under the sofa. 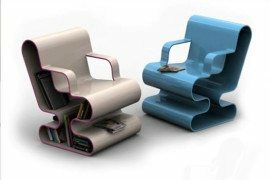 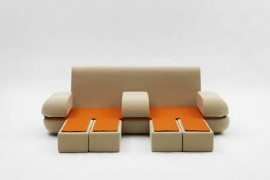 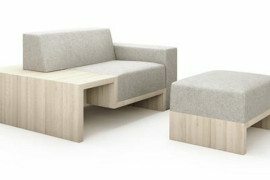 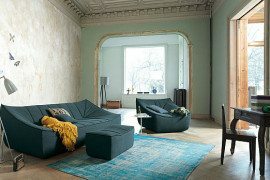 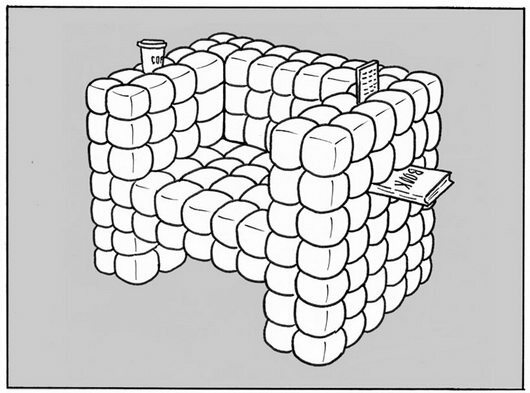 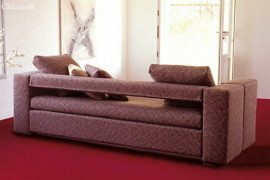 The design of this piece of furniture is based on the empirical fact that objects seemingly vanished and sought for days,such as the cell phone or the remote control, have often been found between or underneath the sofa cushions. 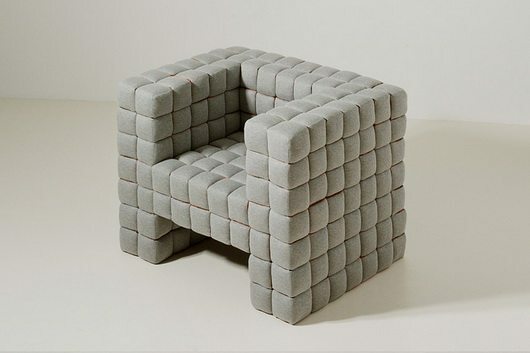 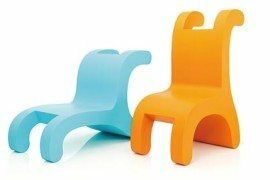 With a trendy and modern Rubik’s cube design, the upholstering allows you to insert books, remote controls and just about any small quotidian object anywhere into the chair. It endows the armchair with both a handy new function and an original appearance.